Author Richard Nathaniel Wright, who was named after both his maternal and paternal grandfathers, was born on 4 September 1908 on Rucker’s Plantation in the Cranfield-Roxie area in northeast Adams County, some twenty miles from Natchez. His father, Nathan Wright, was a sharecropper, and his mother, Ella Wilson Wright, was a schoolteacher. It is reasonable to believe that his parentage and his childhood and youth in Mississippi had a strong impact on his personality and on the works he published from the mid-1930s until his death on 28 November 1960 in Paris. His father was a laborer, with hands that worked the earth, dealing stoically with the concrete materials of life; in sharp contrast, his mother was a thinker, a dreamer whose mind explored the realms of abstract ideas and the imagination. Wright, who went on to become one of Mississippi’s most famous native sons, combined the best qualities of both parents. Wright and his younger brother, Leon Alan Wright, experienced displacement and poverty during their earliest years. As Wright explains in dramatic detail in his autobiography, Black Boy (1945), his family migrated from Natchez to Memphis in 1913. His father’s desertion of the family when Wright was only seven forced his mother to work at low-paying jobs to support her sons. His mother then began having health problems, and he and his brother lived briefly with his maternal grandparents in Jackson before moving to live with an aunt, Maggie Hoskins, in Elaine, Arkansas. Then his uncle, Silas Hoskins, was murdered, and the Wright boys moved first to West Helena, Arkansas, and then back to Jackson. Wright also lived for a year with another uncle and aunt, Clark and Jodie Wilson, in Greenwood before returning to Jackson. The frequent moves resulted in an uneven education. In Memphis, Wright attended Howe Institute (1915–16); in Jackson, he attended the Seventh Day Adventist school (1920–21), spent the fifth through seventh grades at the Jim Hill School, and attended eighth and ninth grade at Smith Robertson Junior High School, graduating in May 1925. He attended Lanier High School for only a few weeks before dropping out to work. Wright moved to Memphis in 1925 and to Chicago in 1927. Wright was very sensitive to the pain of depending on the kindness of relatives, and his perspectives on life and the dominant themes in his fiction and nonfiction were shaped by the metaphor of hunger he associated with his father: “As the days slid past, the image of my father became associated with my pangs of hunger, and when I felt hunger I thought to him with a deep biological bitterness.” The young Wright also resented his Wilson grandmother’s strict Seventh Day Adventist beliefs, although he later wrote positively in the unpublished essay “Memories of My Grandmother” about how those beliefs informed his understanding of the folk mind and southern black culture. In his major novels—Native Son (1940), The Outsider (1953), and The Long Dream (1958)—Wright expressed deep suspicion regarding the benefits of religious belief in dealing with the physical, psychological, social, and spiritual problems in southern and American cultures. Wright found solace in his love of reading, which enabled him to discover worlds beyond Mississippi’s closed society. Nevertheless, the segregation and racial customs of Mississippi and the South, which promoted what he called the humiliating “ethics of living Jim Crow,” made Wright one of the twentieth century’s severest critics of human hypocrisy. As a teenager Wright published a short story, “The Voodoo of Hell’s Half-Acre,” in the Southern Register, a Jackson black newspaper, but his commitment to a life of writing was fueled by his discovery in Memphis of such writers as H. L. Mencken, Theodore Dreiser, and Sherwood Anderson. As a member of the Chicago branch of the communist-sponsored John Reed Club, Wright gained critical notice for the quality of his proletarian poetry in Left Front, Anvil, Partisan Review, and New Masses. In the 1930s Wright honed his writing skills through his association with leftist writers when he joined the Communist Party in 1934 and through his work with the Works Progress Administration’s Federal Writers’ Project. Wright moved to New York in 1937, the year his short story “Fire and Cloud” won first prize in a Story magazine contest. This achievement led to the publication of Uncle Tom’s Children (1938), stories about rural southern life. He married Dhima Rose Meadman in 1939. His fame as a writer was assured with the appearance of his landmark novel, Native Son (1940), and his classic autobiography, Black Boy (1945). 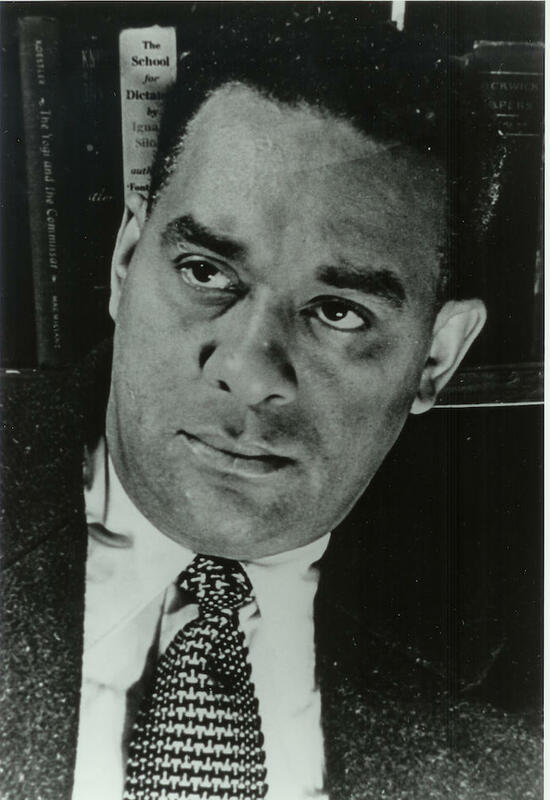 The year 1941 was good for Wright: he received the prestigious Spingarn Medal from the National Association for the Advancement of Colored People for his distinguished achievements in Uncle Tom’s Children and Native Son, and 12 Million Black Voices, a text illustrated with Farm Security Administration photographs, marked Wright’s foray into writing vernacular history. In addition, having divorced his first wife, he married Ellen Poplar on 12 March 1941, and they went on to have two daughters, Julia and Rachel. Wright made a public break with the Communist Party in “I Tried to Be a Communist” (1944). He had discovered that the party was a god who failed. However, his exposure to Marxist ideologies broadened his meditations on world affairs and made him an especially keen observer of humanity’s condition in the twentieth century. It also subjected him to surveillance and harassment by government agencies in the United States and abroad. But Wright never abandoned the insights he gained as a Mississippian, a southerner, a man equipped by his experiences to be a participant-observer. In this sense Wright may well have created the most expansive international vision of all Mississippi writers. Literary fame did not satisfy Wright’s hunger for freedom and human rights. In 1947 he moved his family to Paris, seeking an atmosphere in which to explore the meaning of being human without the necessity of carrying overmuch racial baggage. Some American critics castigated him for abandoning the United States and his privileged niche as a spokesman for black Americans. Conversely, his exile in France greatly increased his reputation among foreign readers and his opportunities for intellectual exchanges with African and European writers. The Outsider (1953), a novel marked by Wright’s growing interest in existentialism and his revised thinking about communism and fascism, sought to illuminate how freedom from social responsibilities might serve as a powerful force in art. He discovered in this book and in Savage Holiday (1954) and The Long Dream (1958) that genuine freedom entails tremendous moral obligations, and he explored issues of law and morality in some detail in his unfinished novel, A Father’s Law (posthumously published in 2008). During Wright’s thirteen years in exile he created a remarkable body of political writing and travel literature. Black Power (1954) was a compelling record of his investigation of the independence movement in the Gold Coast (later Ghana). The Color Curtain (1956) was an engaging report on the 1955 Bandung Conference in Indonesia, where Asian and African nations debated their futures in the global order. In Pagan Spain (1957), Wright speculated about the peaceful coexistence of Franco’s fascism and Roman Catholicism. His collection of lectures, White Man, Listen! (1957), was prophetic in its treatment of modernization and the residue of colonialism. Wright also returned to writing poetry, creating approximately 4,000 haiku, 817 of which were published in Haiku: This Other World (1998). Other works published after his death were Eight Men (1961), Lawd Today! (1963), American Hunger (1977), and Rite of Passage (1994). Author Jerry W. Ward, Jr.